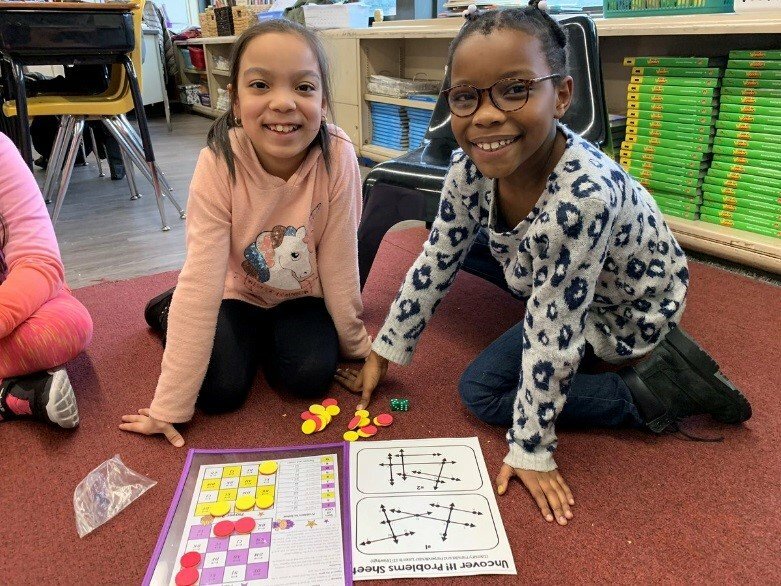 Valley Stream Union Free School District Thirteen’s Howell Road Elementary School fourth grade students recently participated in a series of interactive geometry games during a math breakout session. The students engaged in a series of activities, both with a partner and in larger groups, to better understand the concepts of geometry, including: lines, angles, area, perimeter and shapes. The District continuously offers students opportunities to work together, learn from each other and figure out solutions to problems in a collaborative way—not only sharpening the necessary academic skills to master a topic but honing the equally necessary life skill of teamwork.